PNBA member bookstores love to partner with their local libraries, to work together promoting regional authors and reading in general. To support those efforts, the Association invites public, school and university librarians, especially those working on collections and community events, to join PNBA and attend our annual shows. At each show, PNBA sets aside one breakout room specifically for use from 9am - 5pm on the day that the exhibits are being set-up (with a 2-hr break for an author event lunch) for educational sessions aimed at helping librarians improve how you work with booksellers to increase traffic into your library. Educational sessions are selected and produced by PNBA's Education Committee, which by design includes at least one librarian. The sessions for librarians are coordinated primarily by that Committee member. If your library joins PNBA, up to four people from the library may attend the shows for free. Others from the same library may attend for a very low individual fee. Everyone with a show badge may attend all of the education sessions, choosing whichever ones you prefer, all of the author parties and signings, and both days of exhibits. Librarians are treated with exactly the same courtesy and respect as are the booksellers. Attendance at the author meal events requires extra payment for the meal itself. Perhaps the most important aspect of show attendance for many librarians is meeting the many regional authors who are featured, and, often, receiving copies of their new and forthcoming books. These books are donated by the publishers and are intended as "advance readers" for the booksellers and librarians, in hopes that we will read them, be excited about them, order them for our stores or libraries, and talk about them to our customers and patrons. Publishers have found this to be a very efficient way to distribute these books to some of the most important people in the potential success of their books. Each person who collects free books at the show is required to pay a fee ($30) for a special (BINC) badge, with all of the money collected being donated to an insurance program for independent booksellers. The librarian who serves on the Education Committee may receive reimbursement for all of his/her expenses to attend the show (including travel, overnight accommodations, and meals), if s/he submits a request for reimbursement, with the required original receipts, within one month of the show's end. There are many times when a PNBA member store is able to secure an author appearance, but does not necessarily have the space to handle the crowds that a specific author may attract. In those cases, both the store and the library can benefit by the store's bringing in the author and selling books at the event, but having the event itself take place in the library, which may have the better space. We encourage our members to work cooperatively with their local libraries, whenever possible. We are aware that, with so many communities cutting back their public funding of schools and libraries, it has become more important for libraries to boost their "visitor" numbers, and more and more difficult to afford sending key staff to library conferences and educational opportunities. We believe that the PNBA shows can offer an excellent opportunity for many libraries to help with those efforts; and we hope that you will encourage your library to join PNBA and to send key staff to attend our shows. We encourage our local and regional libraries to join PNBA so that up to four people representing your library will be able to attend our fall show for free. In addition to receiving that benefit, you will also receive PNBA's monthly email newsletter, Footnotes, sent directly to whichever library staff members you would like. Footnotes is the best way to keep up with the activities of the Association, like learning which books by NW authors have been selected for our annual Book Awards. With Footnotes, you will also receive reminders about the up-coming fall show, the authors who will be featured at the show, and the special events that you may want to attend. PNBA also reserves one seat on our Education Committee for a member librarian, who then works with the other Committee members to assure a well-balanced, informative program for librarians on Education Day, with an emphasis on sessions that help booksellers and librarians work together more effectively for each. Members of the Education Committee may be reimbursed for all their expenses to attend the show, if they submit a properly documented Request for Reimbursement form by the deadline. 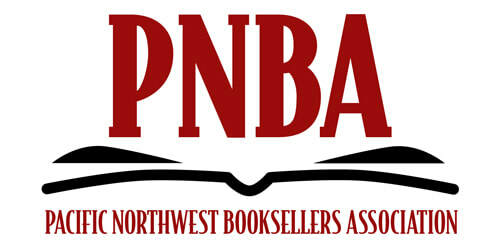 PNBA encourages as much cooperation as possible between our bookstore and library members. First, all librarians attending the fall shows are treated with the same respect and importance as our bookstore members. We consider librarians our mutual partners in our efforts to produce a successful show. 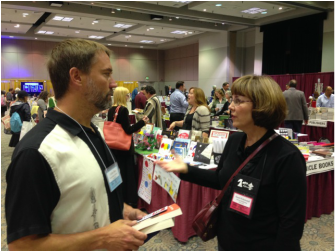 The more librarians who visit the exhibits, go to the author meal events and parties, participate in the education sessions, and meet the authors and encourage them to visit your towns, the more it will help the authors and our member booksellers. PNBA needs and appreciates your attendance. Librarians who have attended our shows tell us that they have loved meeting the regional authors and receiving advance readers copies of their new and forthcoming books. They have appreciated the variety of educational sessions, especially those that have helped them learn how to secure more author appearances. They have really enjoyed meeting the sales reps for so many regional and national publishers who have eagerly shared the details and publishing information about new and forthcoming books that may become important additions to their collections. We hope that more libraries will join PNBA and that more librarians will attend our shows .